You can also write a letter to the editor to demand the removal of Confederate statues, and join a campaign to take economic power from Wall Street and give it back to communities. Take Action Now gives you three meaningful actions you can take each week whatever your schedule. This week, you can call Congress to demand they take away Trump’s blank check for endless war, write a letter to the editor to demand the removal of Confederate statues, and join a campaign to take economic power from Wall Street and give it back to communities. You can sign up for Take Action Now here. Demand that Congress take away President Trump’s blank check for endless war. 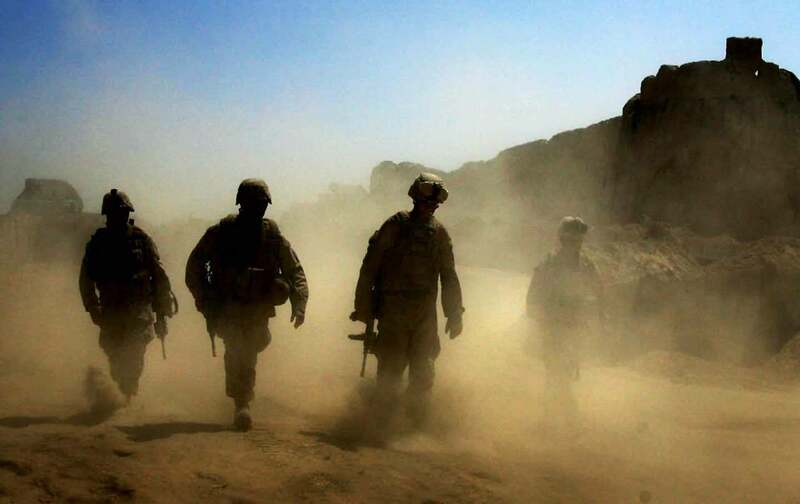 Last night, President Donald Trump announced his “new” strategy for the war in Afghanistan: more American troops and more money spent on the longest war in American history. Although Congress has the power to declare war, three successive presidential administrations have bypassed checks and balances on their war-making powers by citing the post-9/11 Authorization for Use of Military Force (AUMF). The authorization was intended to enable the military to respond to the attacks on 9/11, but has since become a “blank check” for US military interventions. Call your representatives in Congress and demand that they repeal the 2001 AUMF. Since Congress is on recess, you’ll want to call their district offices, which you can find on their websites (linked to for the Senate here and for the House here). Use the Southern Poverty Law Center’s resources to write a letter to the editor of your local paper calling for the removal of Confederate monuments in your community. Last week, we shared SPLC’s community action guide for beginning a local campaign. This week, we’re sharing their directions for writing a letter to the editor of your local paper, a powerful tactic for raising awareness in your community and pressuring local politicians. The directions include a map you can use to find a monument near you, suggested language, and a form to fill out so SPLC can track how many people across the country are writing. Join the New Economy Coalition’s #NowWeOwn project. The NEC is a network of organizations that work for racial, economic, and climate justice through projects that put economic power in the hands of communities and people. There are two actions you can take to join NEC and the #NowWeOwn project: first, if you can think of an example of community ownership near you, share it on Twitter or Facebook using the hashtag #NowWeOwn (NEC has created a toolkit to help you out). People across the country are promoting projects such as ethical worker-owned cooperatives, clean-energy initiatives, and community land trusts. Second, check out NEC’s map of organizations working toward a new economy and find one near you to learn more about and support.